President Trump during a tax speech in Ohio on Monday slammed Democratic lawmakers who didn’t clap or stand during his State of the Union address. He called them "un-American" and even "treasonous." 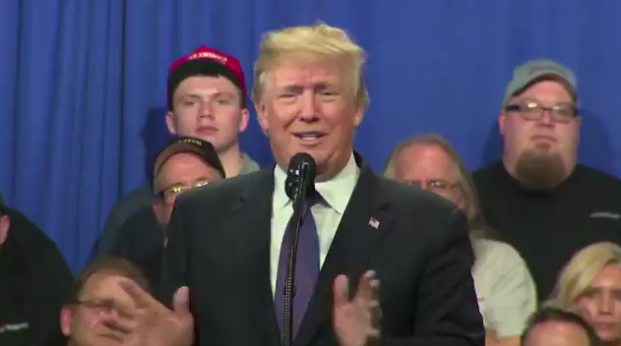 “It got to a point where I really didn’t even want to look too much during the speech over to that side because honestly it was bad energy… You’re up there, you’ve got half the room going totally crazy, wild. They loved everything, they want to do something great for our country. And you have the other side, even on positive news … they were like death and un-American," Trump said. "Somebody said ‘treasonous,’” he went on. “I mean, yeah, I guess, why not? Can we call that treason? Why not?" “I mean they certainly didn’t seem to love our country very much,” Trump added. His remarks drew criticism on social media and among news networks, with many arguing that it’s Democrats’ First Amendment right to remain sitting or refuse to applaud the President. Others went so far as to compare Trump to North Korean dictator Kim Jong Un. One clip circulating social media is of Trump not clapping during a speech by then-President Obama at a White House Correspondents' Dinner, with people using it to call Trump a hypocrite. The clip shows Obama roasting Trump over his birther comments. What do you think of Trump's remarks Monday night? Give us your thoughts in the comments section below!